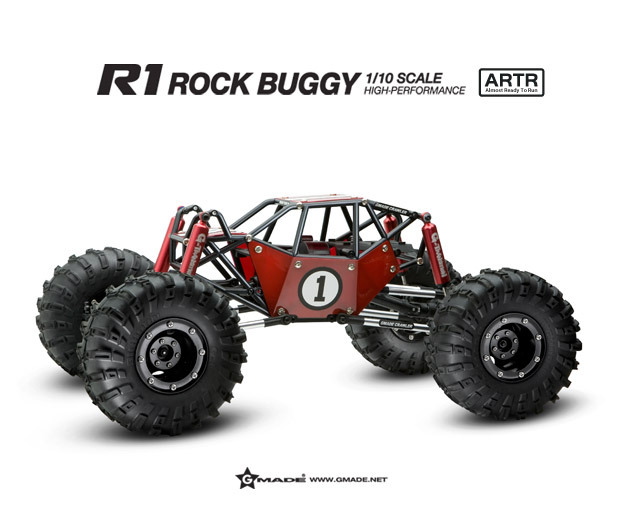 G-Mades 1/10 Rock Buggy R1 is an almost ready to run truck that comes fully assembled and only requires you to add your electronics (see list below). Gmade has been making r/c crawler parts and accessories for many years and now makes high quality complete kits. All replacement parts can be purchased direct from Gmade on their website.